So what types of metamorphic rock are there? These are dynamic, regional and contact metamorphic rocks. Dynamic metamorphics are the rocks that have been experiencing dynamic pressure. They have been stretched or flattened, maybe twisted when large scale movements happen in the Earth's crust and different rock masses are forced over each other and crush each other as they come into contact. These are the rocks with some impressive foliations. Contacts are mainly affected by hot temperatures and very little by pressures. They have therefore got no foliation or "schistosity". These rocks include hornfels, skarn and fulgurite. There are also some rocks that can be both regional and contact metamorphics. They include marble, quartzite, serpentinite, greenstone, eclogite and amphibolite. Regionals are the rocks that have the "schisty" texture which break along the layers (except gneiss). They are formed by both increasing pressures and temperatures. 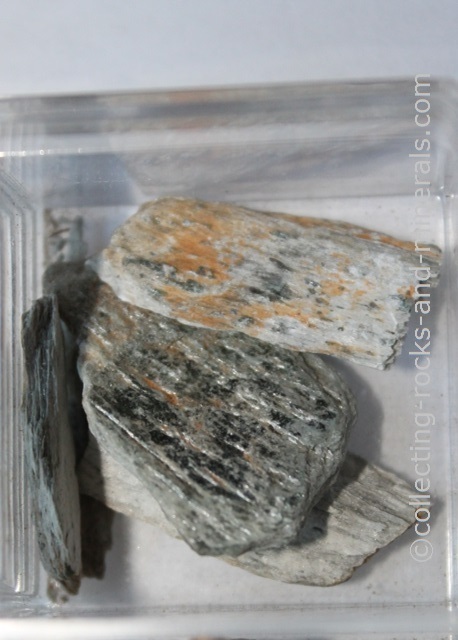 These rocks include slate, phyllite, schist, gneiss, granulate and migmatite. At low pressures and temperatures, the sedimentary rock shale forms slate. 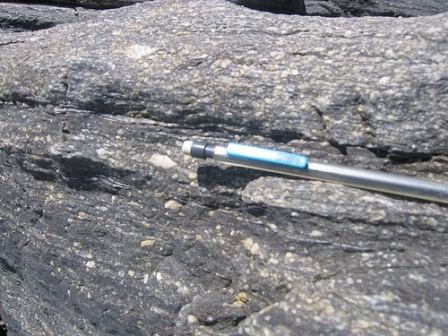 With increasing pressures and temperatures, phyllite, schist and gneiss are formed. Each stage also have their own mineral composition. 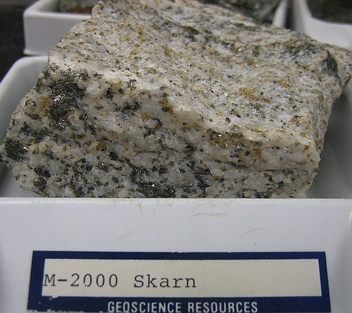 Shale contains clay minerals, while chlorites are common in slate; quartz and muscovite are common in phyllite; garnet and biotite are common in schist; and gneiss is known for minerals like sillimanite and K-feldspar.